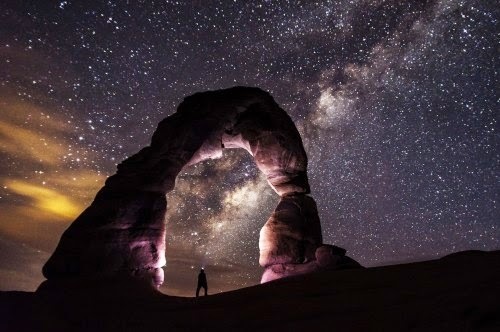 LAST MONTH we began looking at the question, "What is the purpose of man's existence?" We saw that there is, in the men and women of our race, an inborn, intuitive urge to order our lives in accord with some purpose beyond the satisfaction of our daily whims. This urge is stronger in some men than in others. We also saw the importance which this urge, or its degree of fulfillment or non-fulfillment, has in determining the type of world in which we live. Human society tends to be orderly and truly progressive when men with a more highly developed sense of inner direction prevail, and society becomes chaotic, regressive, and decadent when men with a weaker sense of direction prevail, or when all tend to lose or ignore their inner directions. But even in the best of times, when men with a strong sense of purpose have the upper hand, few -- if any -- have a true understanding of what that purpose should really be. They feel an inner direction, but they mistake where it is pointing. And so the great majority of even the best of men go in the wrong direction, following false purposes. Men strive for the True Purpose, but their striving is in the form of an almost-blind groping for something seen only dimly and indistinctly, like a half-remembered dream. Their imperfect understanding leads them far more often into error than into truth. The greatest cause of error -- the greatest hindrance to a proper response to our sense of inner direction -- has been a wrong outlook, a wrong general attitude toward life and the world, a wrong philosophical framework within which we interpret our inner promptings. Just as using a badly flawed lens to read a message distorts it and, more often than not, causes us to misread it, so forcing an interpretation of our sense of inner direction into the wrong philosophical framework distorts it and leads us into error. 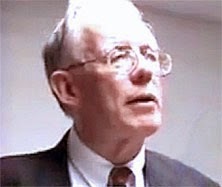 The following was written by Dr. Pierce in 1992 and included in the original edition of the National Alliance Membership Handbook (pages 46-51). Unfortunately, this entire important policy guideline -- one of the crucial elements that sets the National Alliance apart from other racial organizations -- was removed altogether in the second edition that was published by Walker and Gliebe. It has been restored under the chairmanship of Will W. Williams. AN Associated Press news story recently caught my attention. 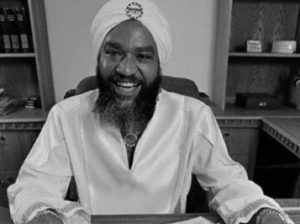 The story was about the release from prison this week of a Black religious leader, who calls himself Yahweh ben Yahweh. 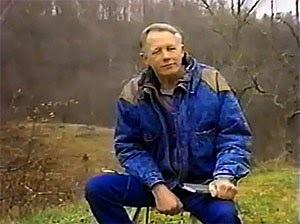 His name actually is Hulon Mitchell. He's a former Black Muslim, and, in fact, he ran a Black Muslim mosque in Atlanta for a while in the early 1970s, until he was accused of sexual improprieties with underaged Muslim girls and dipping into the collection plate. He dropped out of the Nation of Islam, where he was known as Hulon X, and in 1978 founded his own church, the so-called Nation of Yahweh, with a religion based on Judaism. He calls his followers "Black Hebrew Israelites" and tells them that they, rather than the Jews, are the "chosen people" ordained by God to rule the world, as described in the Old Testament. He took for himself the name Yahweh ben Yahweh -- that's Hebrew for "God, the son of God." So why should we be interested in yet another megalomaniac religious cult based on Judaism? 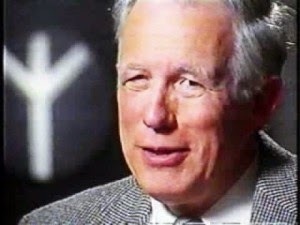 Well, the thing of interest to us about the Nation of Yahweh is the initiation requirement Hulon Mitchell established for the elite, inner circle of his church, the so-called "Brotherhood." The requirement was the murder of a White person, and the bringing to Mitchell of some evidence of the murder, such as an ear or even the head of the victim. In fact, Mitchell preached to his whole congregation that the killing of White people -- of "blue-eyed devils" -- is pleasing to Yahweh. By the time the police finally wound up Mitchell's race-murder cult in November 1990 and packed Mitchell off to prison, his followers had butchered and mutilated at least 23 men, women, and children, 14 of them in Miami alone. Some of the victims were recalcitrant members of his own church, and the Associated Press story doesn't give a racial breakdown, but the figure I've seen elsewhere puts the number of White victims at 16. Mitchell spent a little over 10 years in prison. That works out to about eight months for the murder of each "blue-eyed devil." He was released on parole earlier this week. You didn't hear about it? You didn't see anything about it on CNN or network television? You shouldn't be surprised. It's not the sort of news that the bosses of the controlled media want you to know about. There was a story about it last Saturday in the Washington Post, but the entire thrust of that story is the infringement of Mitchell's civil rights by the conditions imposed on him by the parole board that released him. The Washington Post article is not headed "Black Cult Leader Who Ordered Ritual Murder of Whites to Be Released." Oh, no! A headline like that would be considered "racist" by the people who run the Post; they are afraid it might make White readers wary of Blacks. It might even lead some readers to ask questions, such as, "Why has this nutcase Black murderer been turned loose?" -- although I myself am not so optimistic about the ability of White Americans to figure out who their enemies are and react appropriately. In late 1970 and early 1971, the first period of independent existence for the National Youth Alliance, we had a following which was substantially conservative. The Vietnam war was much on people’s minds, and even more so was the leftist-Jewish reaction in this country to that war. Swarthy, hook-nosed Reds were leading mobs of empty-headed Gentile students in chants of "Ho-ho-ho Chi Minh, the Viet Cong’s gonna win!," while the controlled media openly sympathized with them. U.S. senators and representatives were not ashamed to address public rallies calling for the defeat of America’s armed forces in Southeast Asia. "Black power" advocates were staging armed takeovers of university administration buildings, while liberal educators wrung their hands in impotent indecision. The drug culture was destroying the lives of tens of thousands of young, White Americans every year. Does Jewish survival strategy demand misdirection, coverups, and colossal lies? 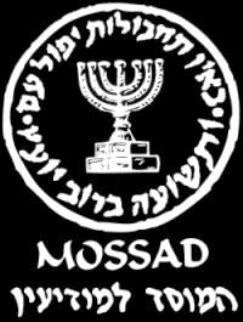 THE MOTTO of Israel's spy agency, Mossad, is, according to recently defected Mossad agent Victor Ostrovsky: "By way of deception thou shalt do war." That motto describes more than the modus operandi of the world's most ruthless and feared organization of professional assassins and espionage agents; it really describes the modus vivendi of an entire race. It is necessary to understand that fact before one can hope to understand fully the role of the Jews in national and world affairs. Similarly bloodthirsty, explicit injunctions are repeated so often in the Jews' holy books that we can only assume that they are meant to be taken seriously. The historical evidence suggests that in ancient times the Jews did indeed take their religion seriously: they were notorious everywhere and at all times as implacable haters of humanity who in turn were thoroughly despised by every people among whom they lived. Then on the other hand we have the modern, American Jew in the role of humanitarian, shunning the instruments of war and urging that all citizens, including himself, be disarmed, in order to make the streets of our cities kinder and gentler. Not only do the Jews provide the principal impetus to America's gun-control effort, but they are found in the forefront of every other squishy, do-good movement, from those ostensibly aimed at reducing hostility between the races to those designed to increase tolerance of homosexuals and their practices. THE LEFT HAS been doing a lot of moaning recently about “the rise of fascism” in America. Painting Ronald Reagan as an authoritarian bigot who aims to undo the civil rights “gains” of the last 30 years by putting Blacks back “in their place." The more wild-eyed elements on the left had gone so far as to claim that the Ku Klux Klan and other militant pro-White groups are secretly linked to the Reagan administration and have the government’s blessing when they “terrorize” minorities. That sort of hokum is good for coaxing contributions out of rich, left-wing Jews and their twittering bird-brains of White liberaldom. The leaders and theoreticians of the radical left know better, of course, and among themselves they are more realistic. They know that White nationalists are hated and harassed by the Federal bureaucracy whether the man in the White House is a Carter or a Reagan. But they are genuinely concerned about one fairly new development: the ongoing radicalization of White groups, both in America and in Europe. In their publications they are warning one another that White action based on a coherent, fundamental, unifying ideology presents a far greater danger to them than the parochial and essentially conservative White reaction of the past. In this the leftists are entirely correct. 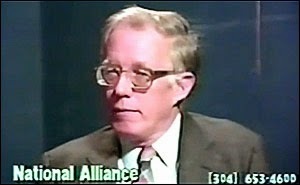 And it is interesting to note that the National Alliance has been singled out by at least one radical-leftists publication as the most dangerous of all White nationalist organizations, despite the fact that the Alliance has avoided headline-grabbing public activity and is still a rather small organization numerically. It is ideas, not right-wing publicity stunts which the enemies of a White future fear — and rightly so. And because the Alliance has been foremost in the formulation and propagation of ideas, the more intelligent leftists see it as the top threat to their own schemes. Into the meeting walked a 74-year-old gentleman, a retired cobbler, with a wooden leg. He had lost his leg during World War II, fighting communists as a member of the underground in his native Lithuania. When a Jewish commissar had ordered him arrested and executed, he had escaped to the West — but not before his left leg was shattered by 13 machine-gun bullets. This old gentleman, who has often distributed Alliance publications in the past, began distributing leaflets explaining the Jewish origins of communism to the other persons at the meeting. Hardly had he begun, however, when the director of the meeting, a former university professor who now makes a very good living arranging middle-class anti-communist meetings, sicced the police on him and had him thrown out of the hotel where the meeting was being held. THE BASIC QUESTION raised by Friday’s incident in Washington involving the ex-cobbler and the ex-professor is this: Which of the two is the sort of person we are looking for? More generally, which of the two represents the type of man or woman who can be organized into a force capable of whipping the Jews and their allies and then carrying our truth on to victory? 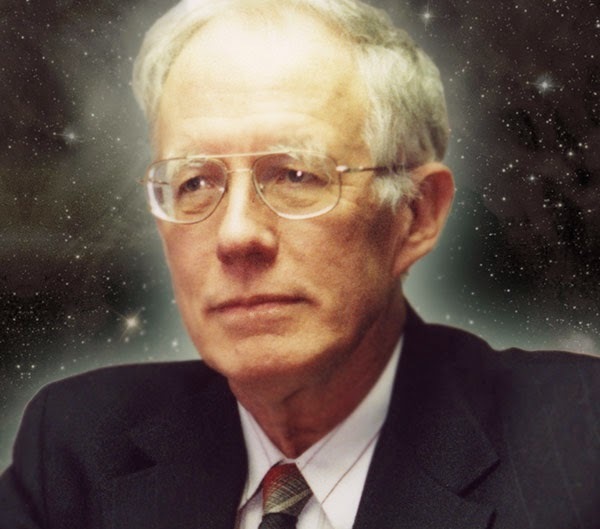 Some readers have sent curt notes, such as, "You evidently don’t believe in the Bible. 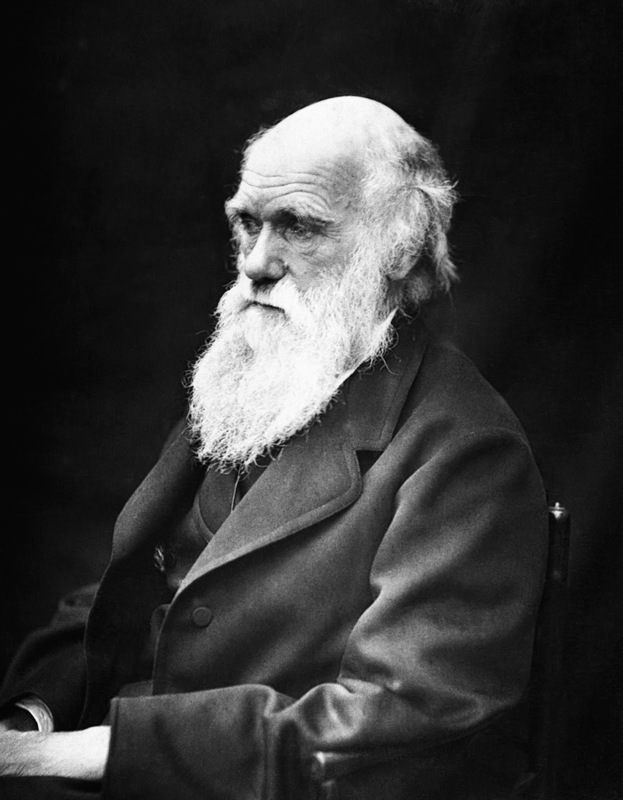 Don’t you know that evolution is the work of Satan? Cancel my subscription immediately!" 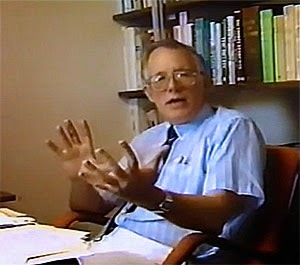 Others have been more patient, explaining either that (a) the first White people were placed on earth via flying saucer somewhere around 7,000 years ago, or that (b) the Creation occurred as described in Genesis, but Adam and Eve were Whites, not Jews, and that the people of the Old Testament eventually migrated to northern Europe and were the ancestors of the European race. Complaints were definitely in the minority, with most readers indicating an approval of the race-history article, but there was no intention of offending any of our readers’ religious sensibilities with the “Who We Are” series. On the other hand, the Alliance never hesitates to print the truth — even when the truth conflicts with cherished myths. The racial history and prehistory in “Who We Are” are in accord with the presently known facts, whereas the account in the Old Testament and subsequent migrations form Eden to Scandinavia are not.